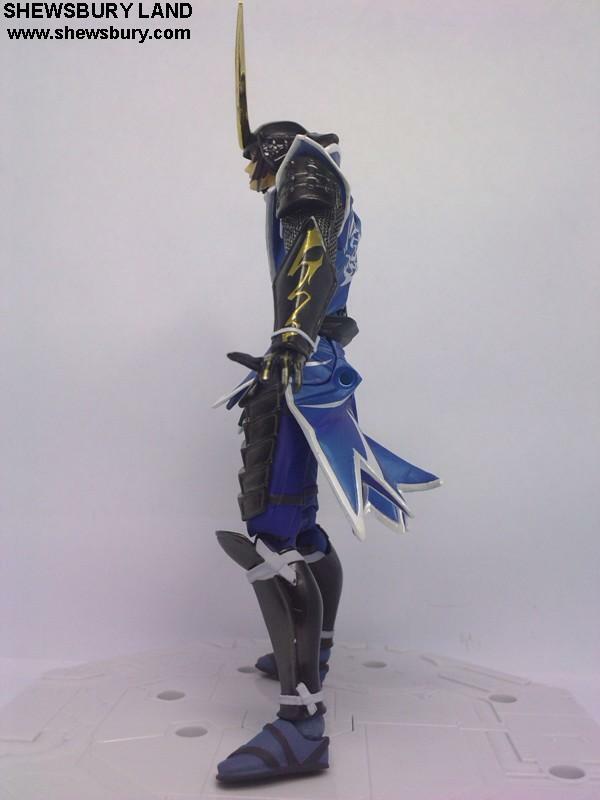 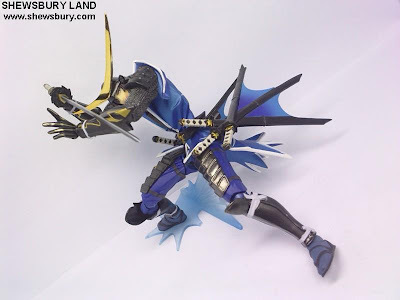 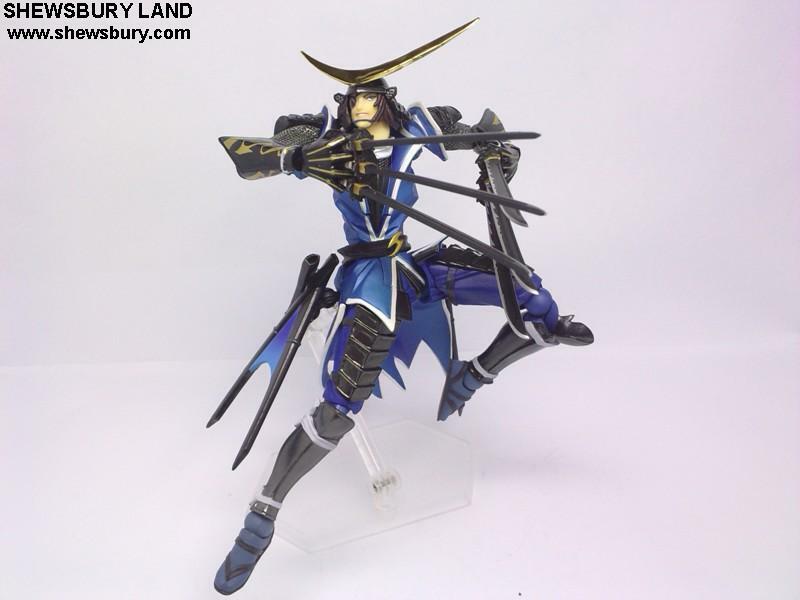 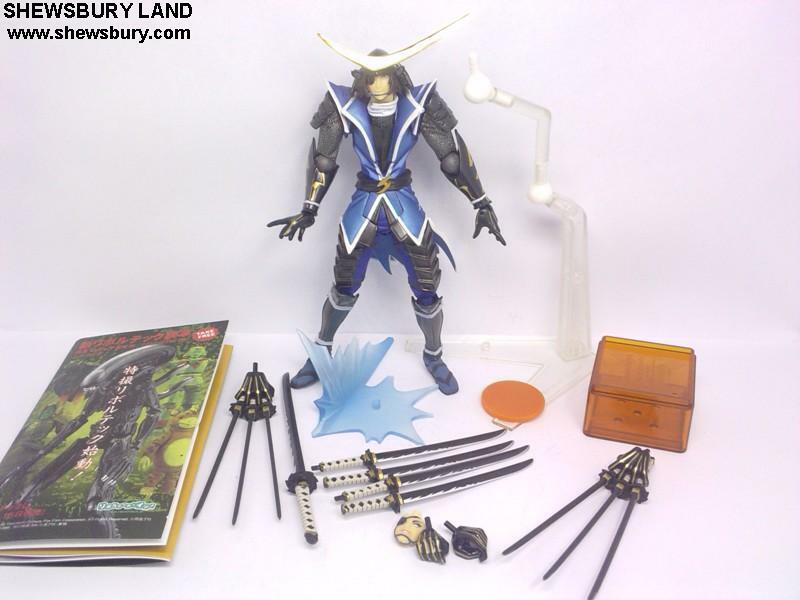 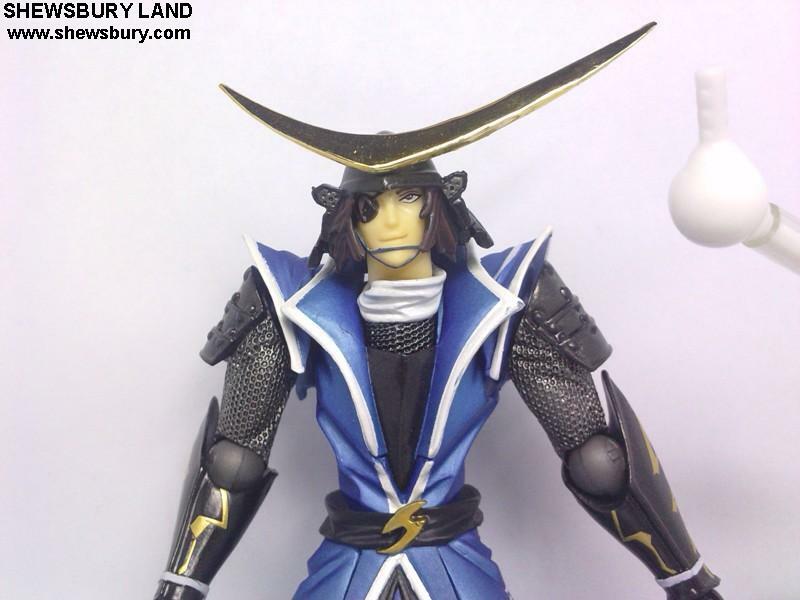 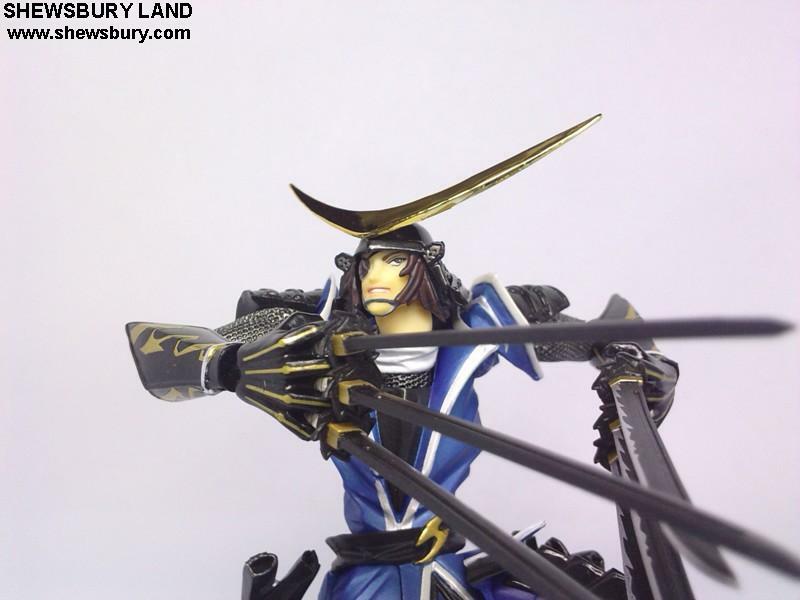 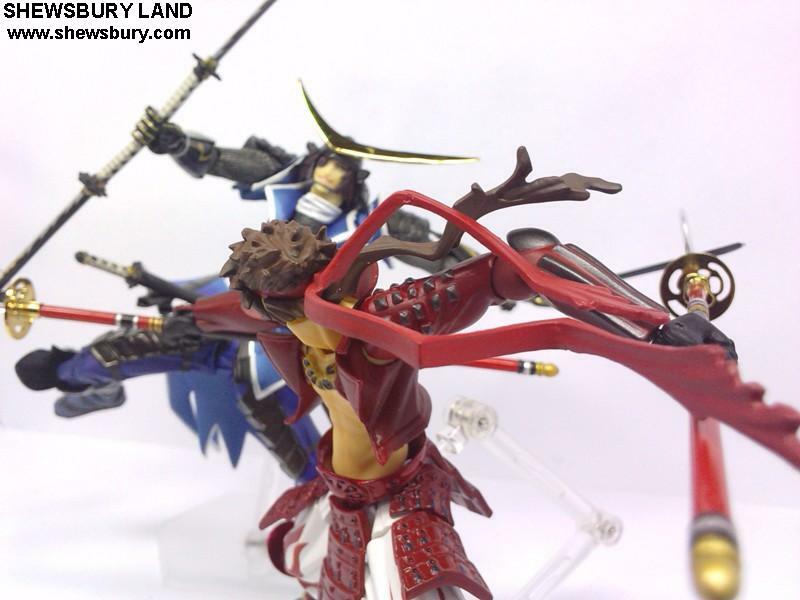 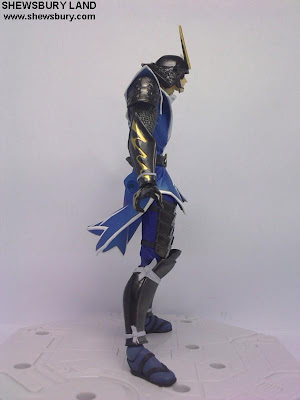 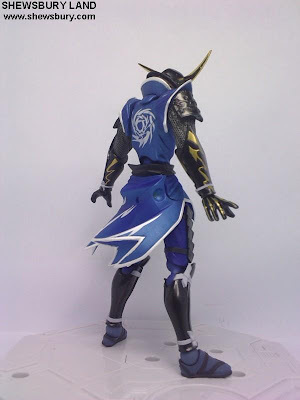 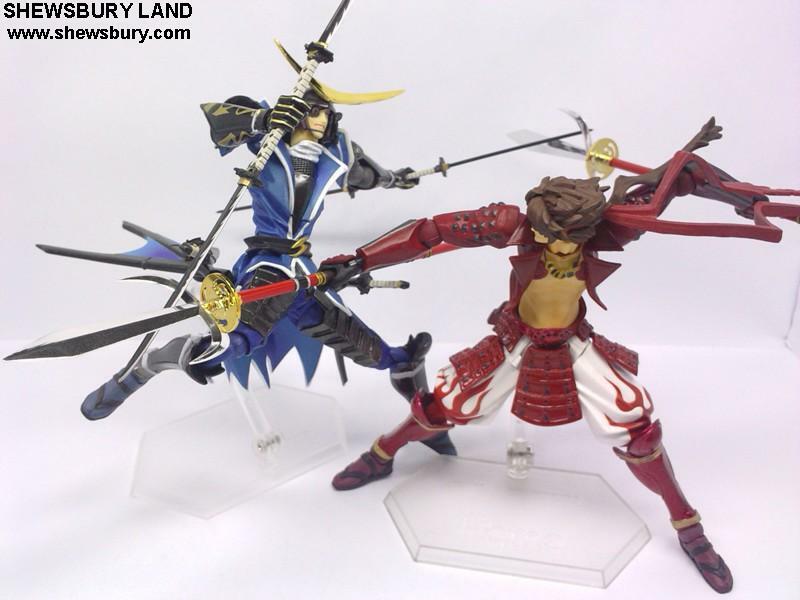 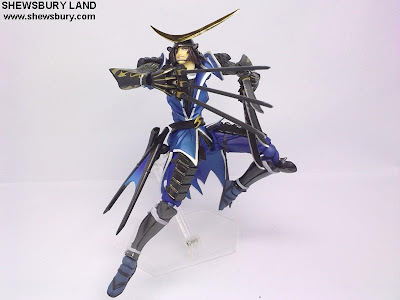 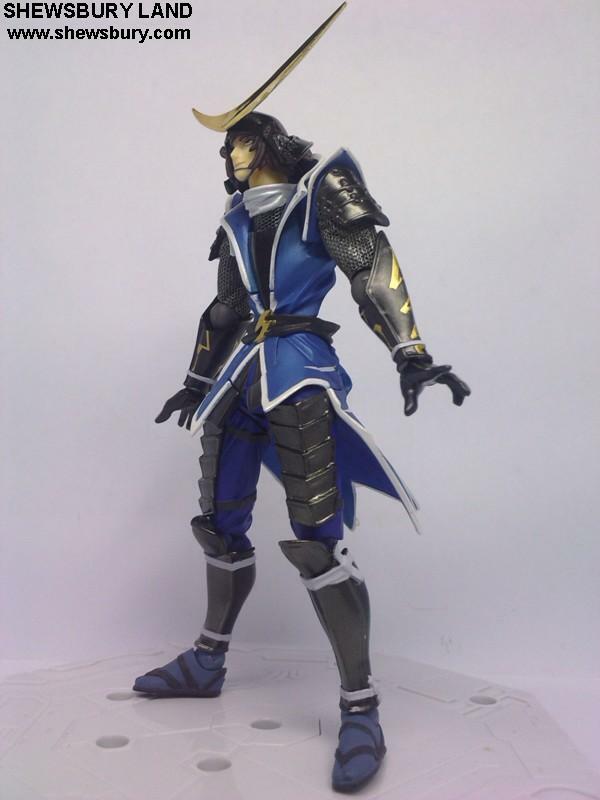 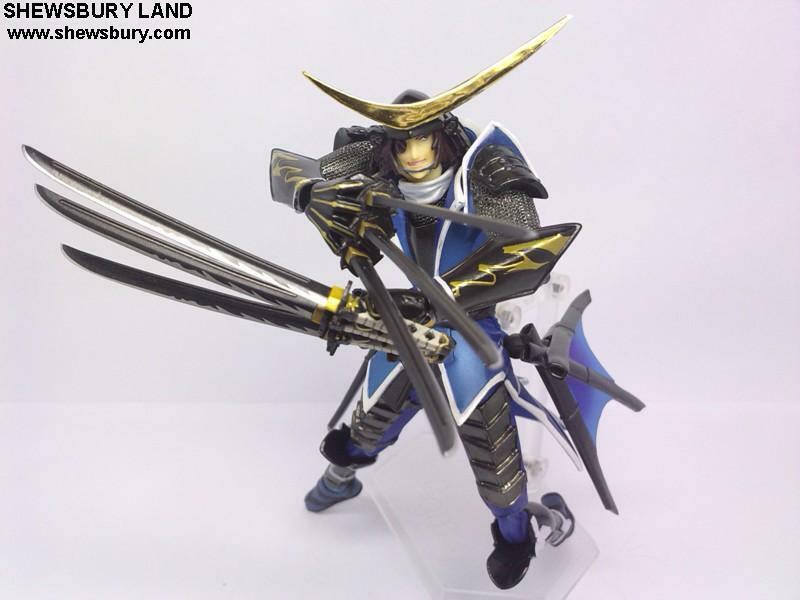 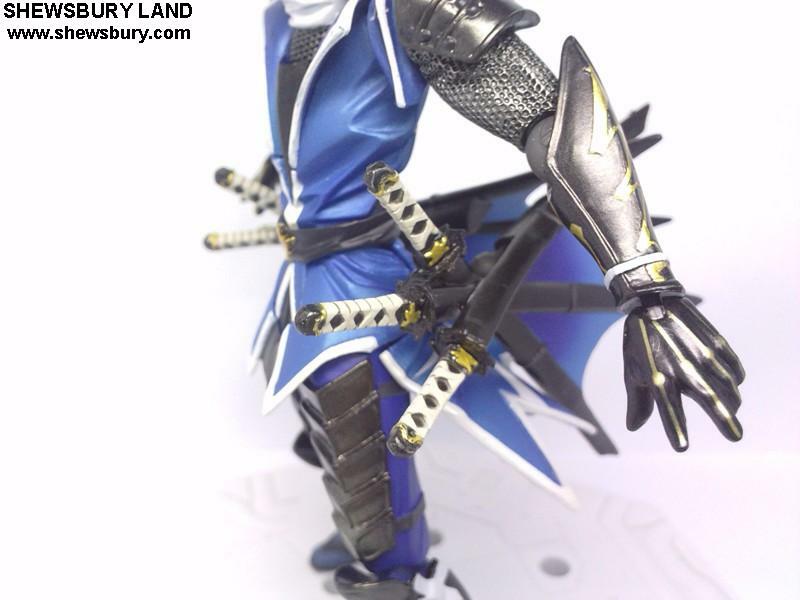 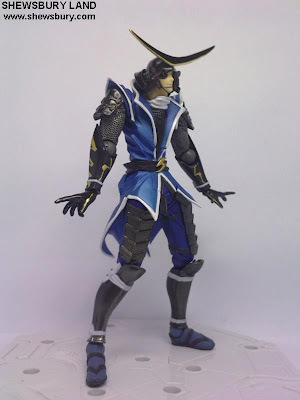 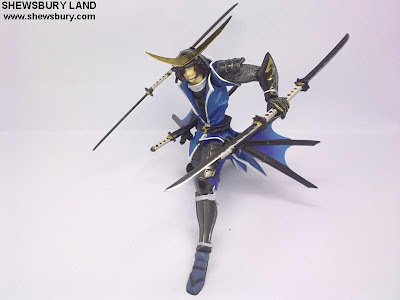 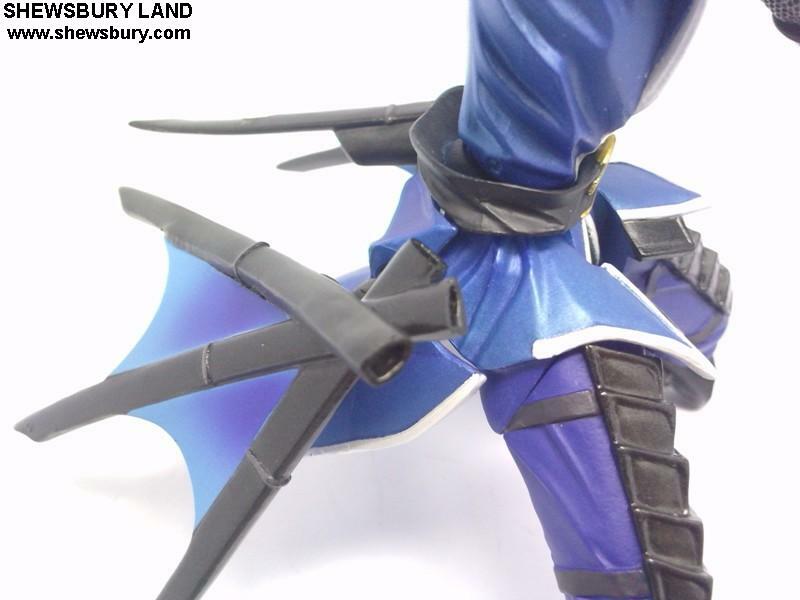 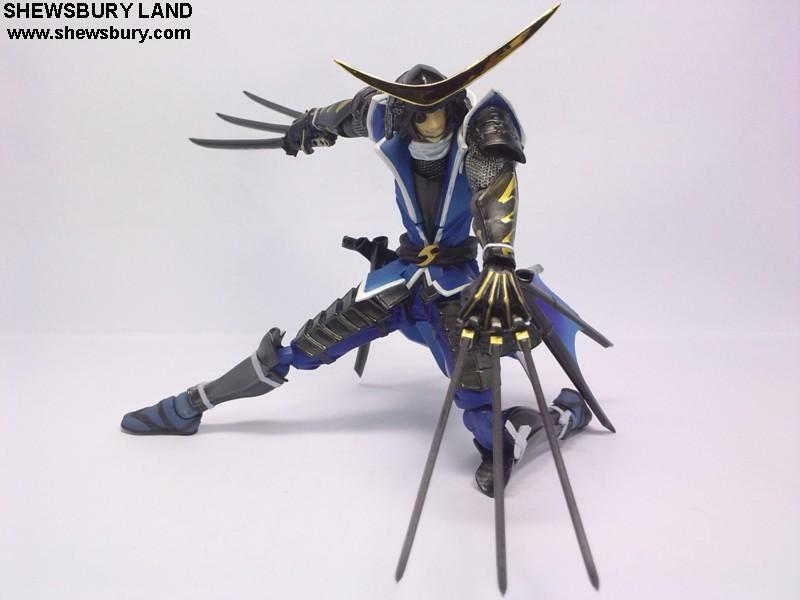 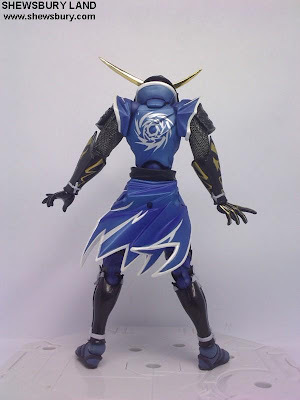 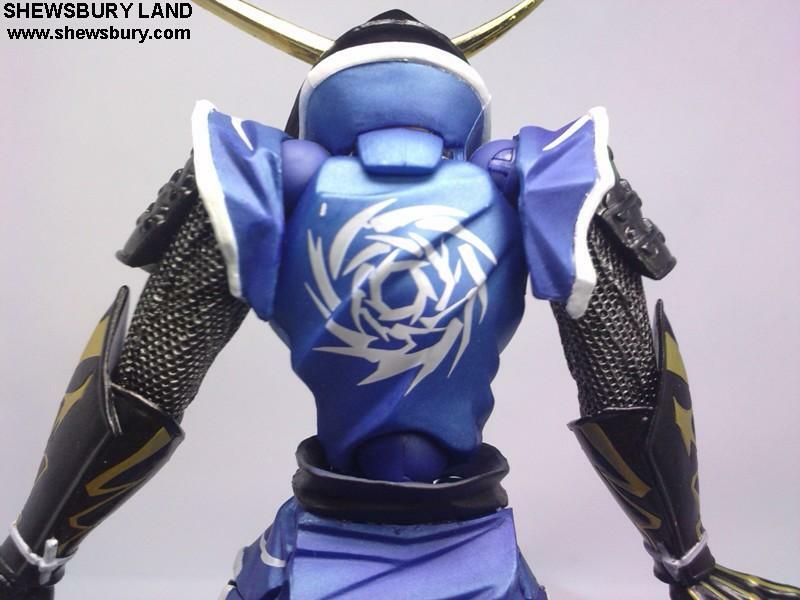 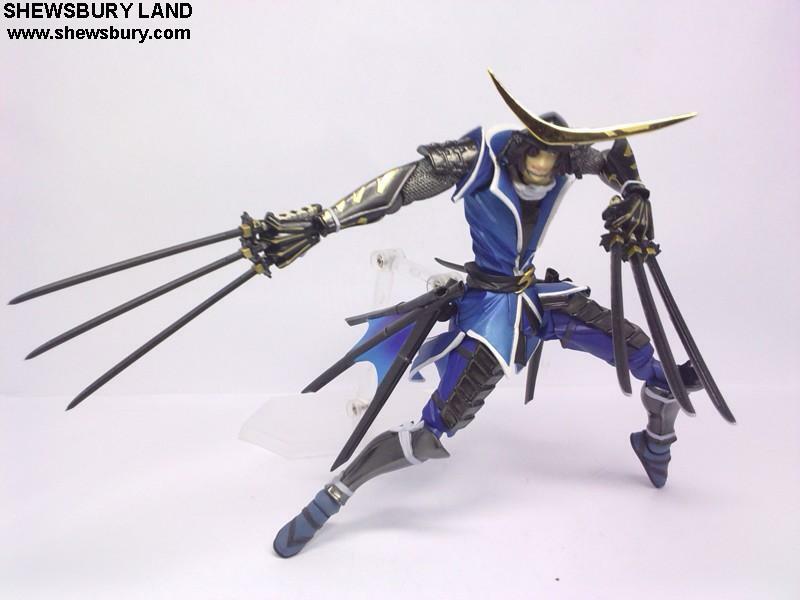 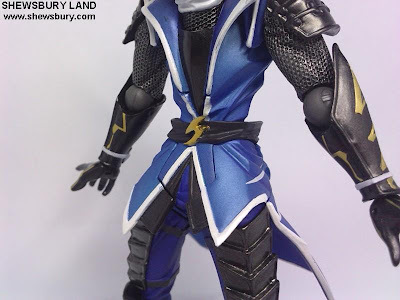 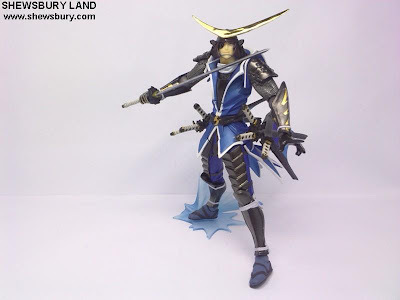 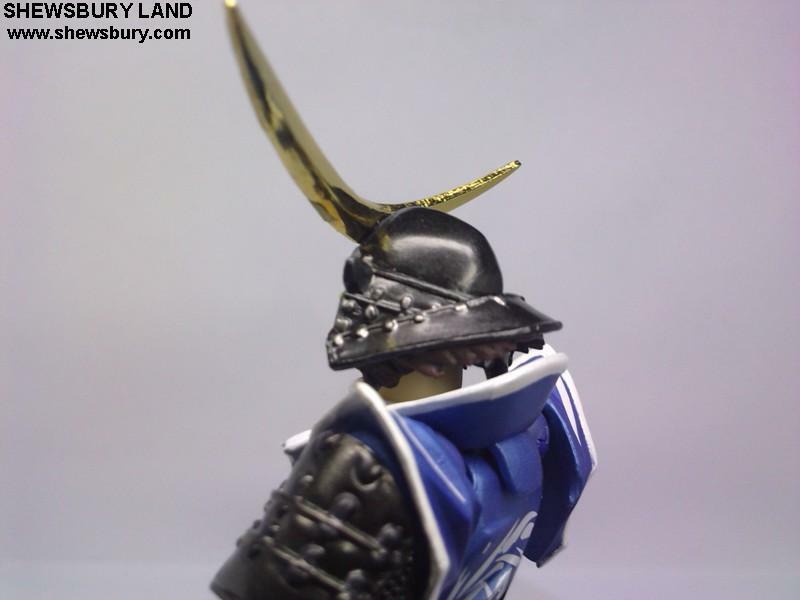 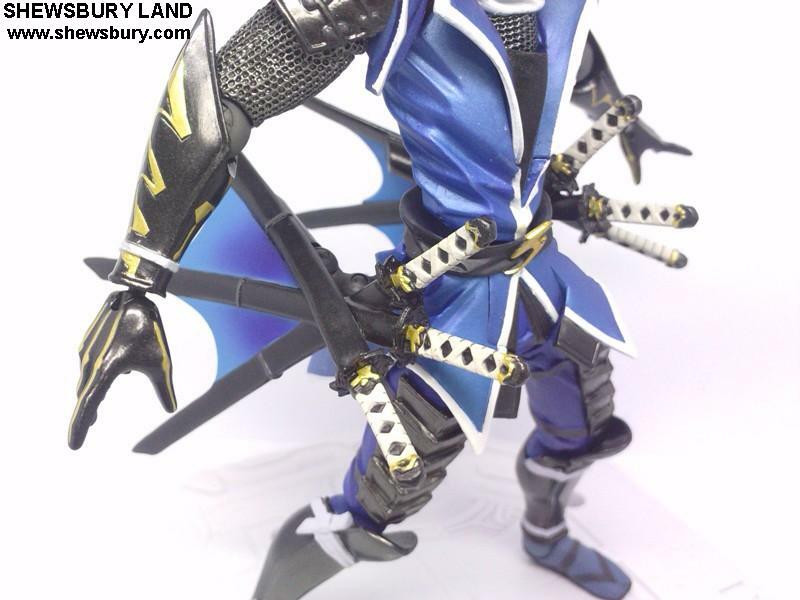 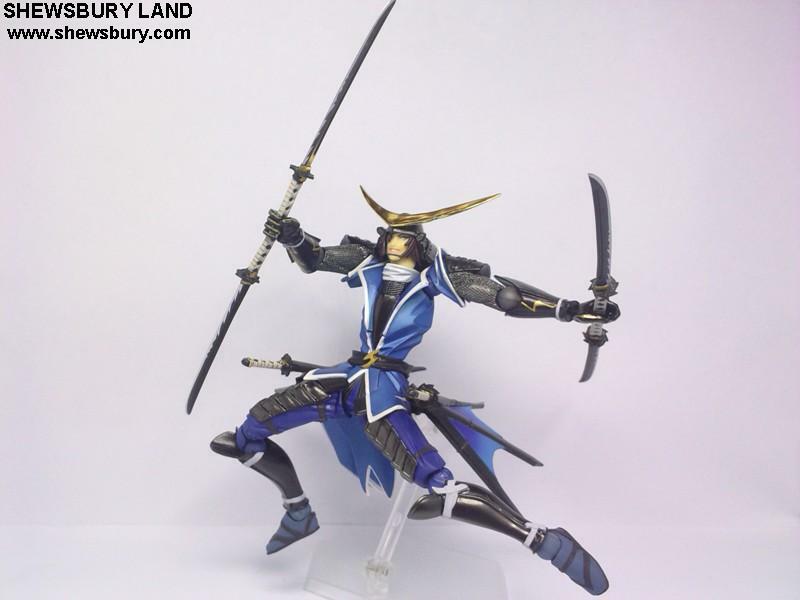 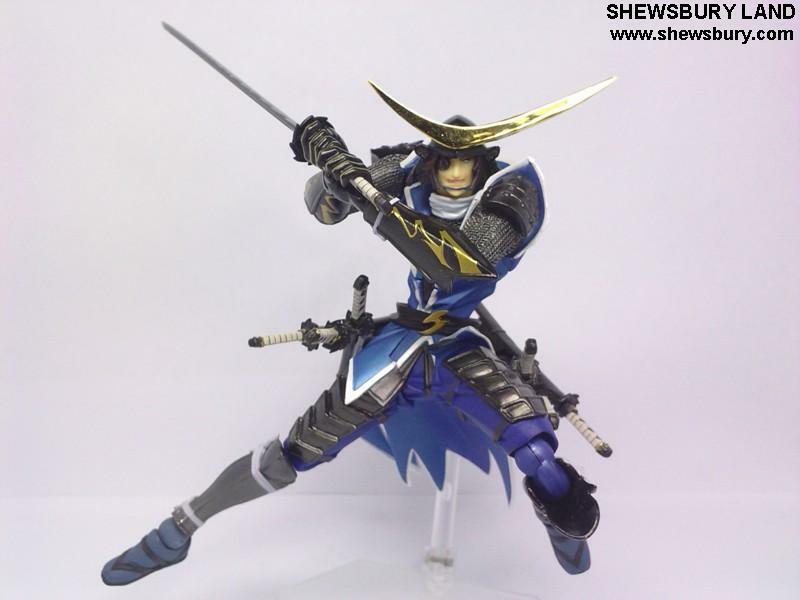 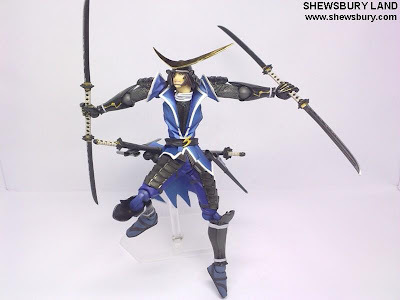 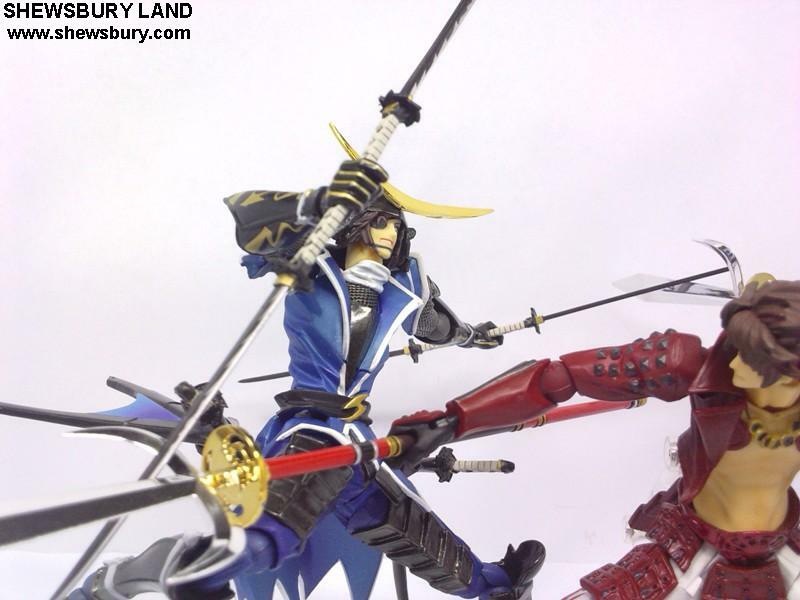 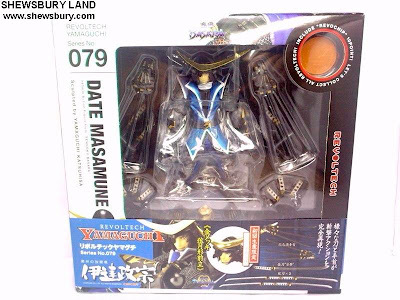 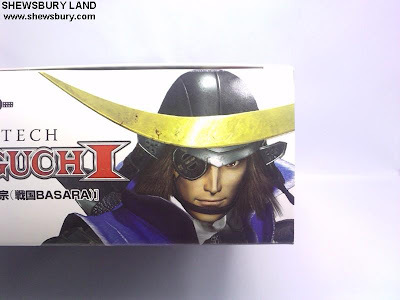 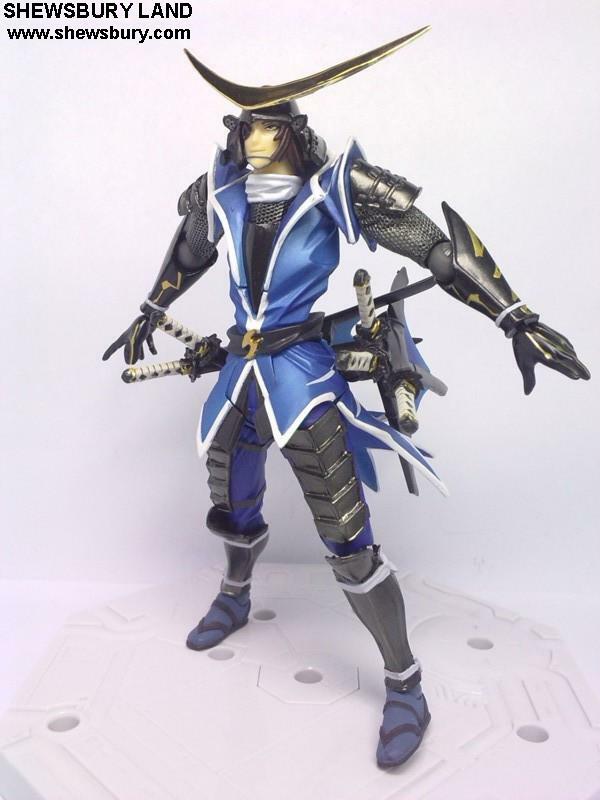 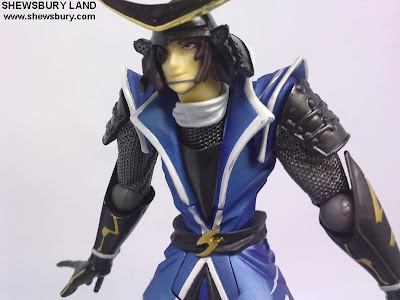 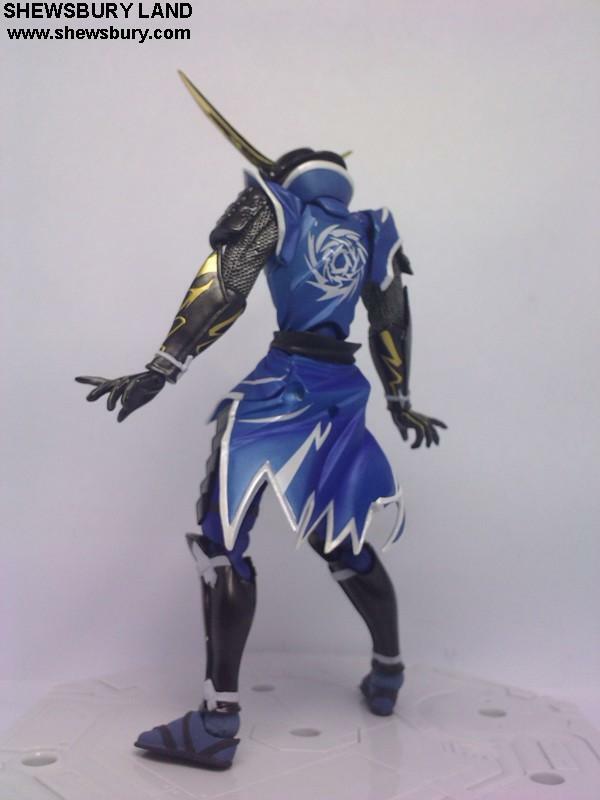 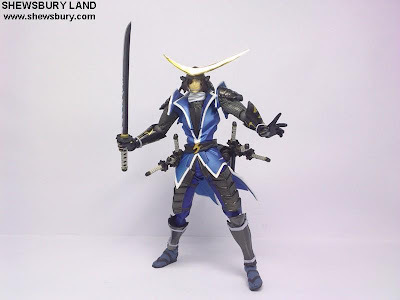 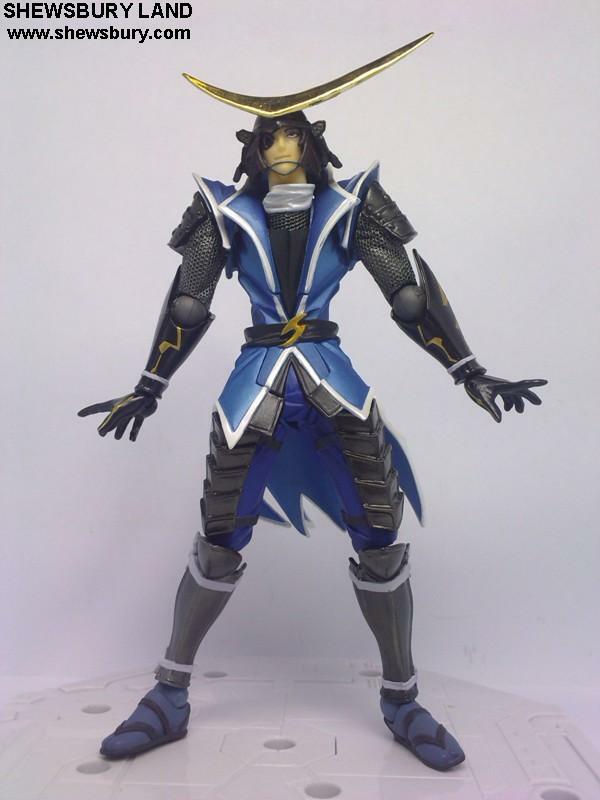 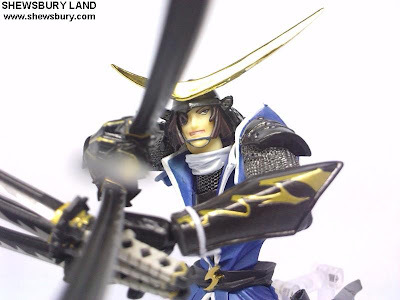 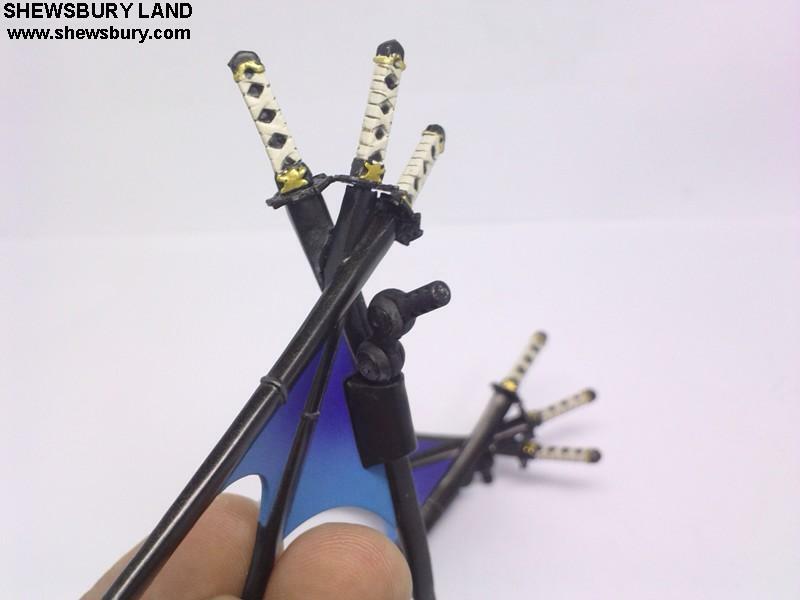 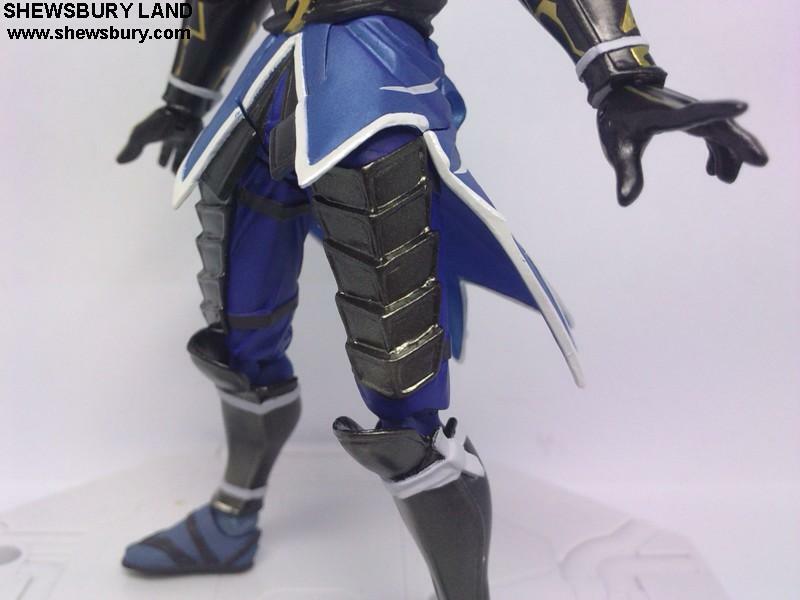 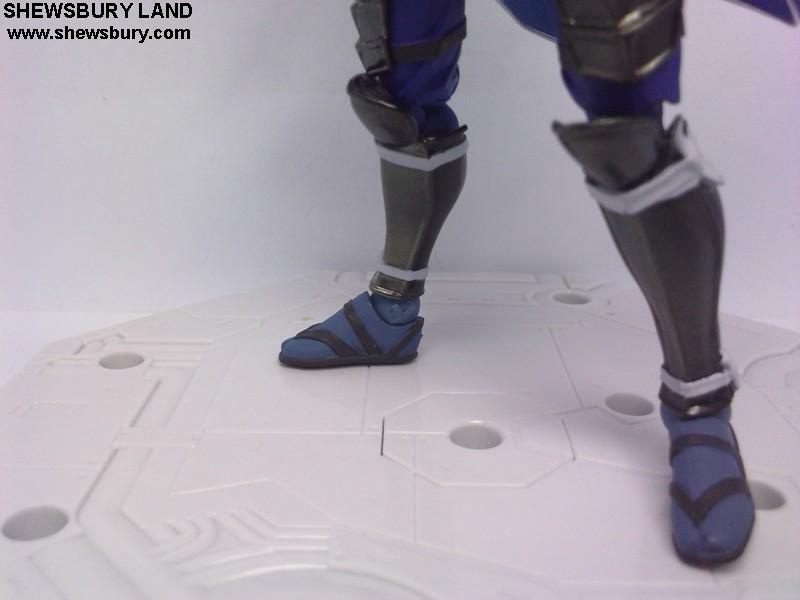 This is Revoltech Masamune Date from the anime and video games of Sengoku Basara. Just like the previous Revoltech item, Yukimura Sanada, this figurine is sculpted by Yamaguchi Katsuhisa and available at the same price of 2,286 yen (about SGD 35.00) before adding shipment charges. 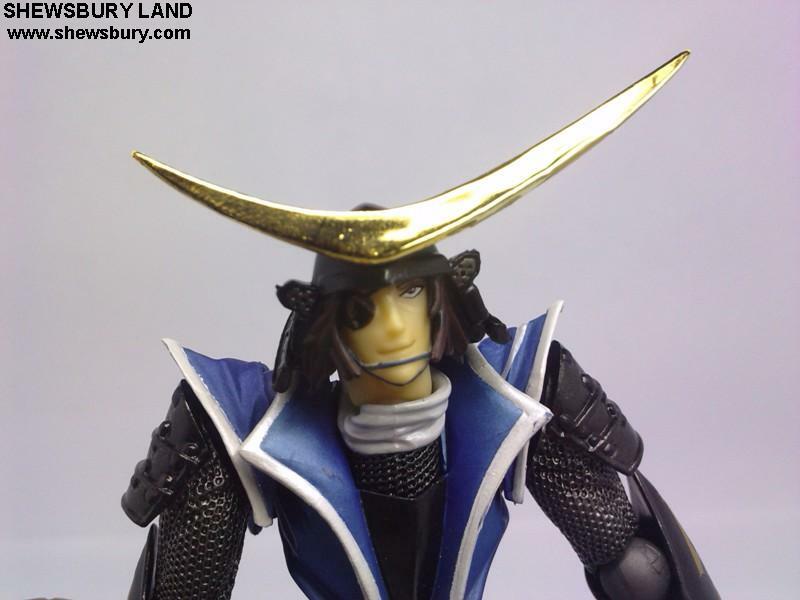 "Dokugan Ryu" - One Eye Dragon is the nickname for Masamune Date as he lost his right eye in one of his previous battle. In my opinion, inside the anime Sengoku Basara, he is my favorite character because he is indeed a cool character in term of style, charisma and his weaponary... perhaps he is the only character that can speaks some English words in that anime. Yukimura Sanada is also the other main character in the anime but he is a bit more into the "comical relief" in the anime due to his idiotic and less matured appearance - especially when he is infront of his master - Takeda Shingen. 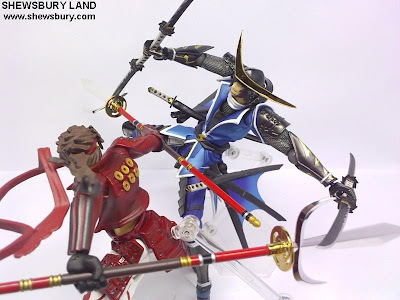 The hip articulation... similar to the Yukimura Sanada and Dante. This is to make it looks like "real"
I have to admit though that this figure is not perfect either, I do have few complains about it like the the usual Revoltech "virus" where it can be a challenge sometimes to make the figure stand on its own foot without any support of the action base what so ever... you do need to some adjustment here and there for several times before you can finally make it stand firm. 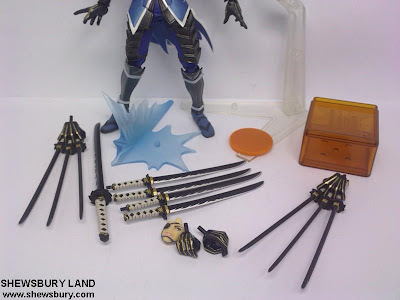 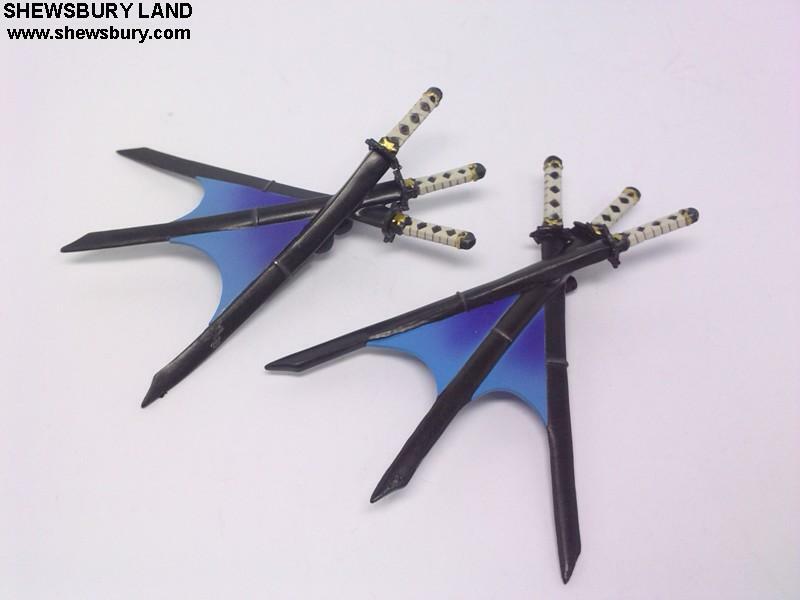 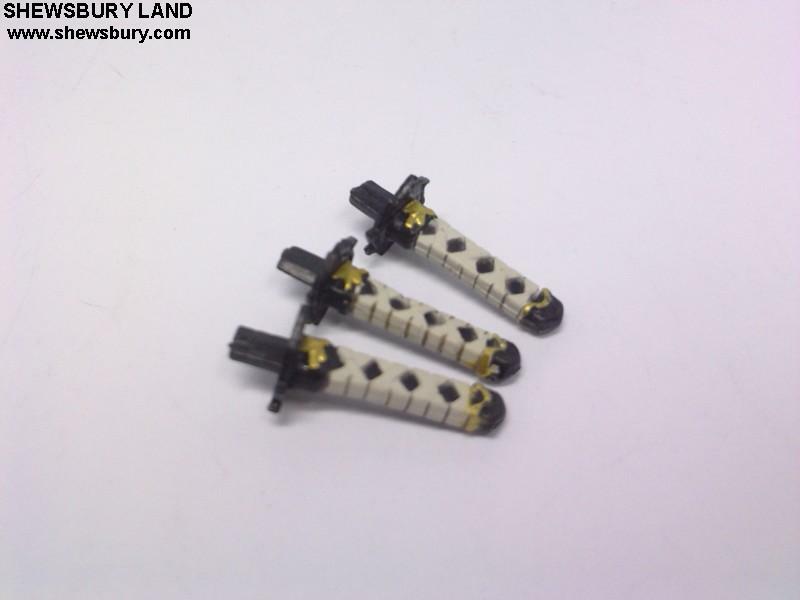 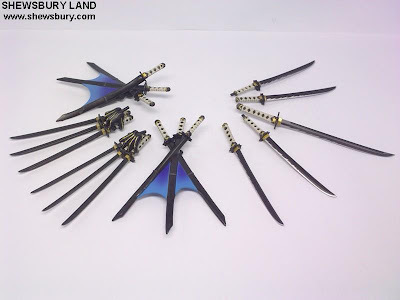 Other than I think this item is excellent.... we are somehow still satisfy with the overall quality and details and most of all that many katana... it is all about great value for money. This figure looks great, its a def buy from me, but will be when I have some more money come in.